The idea of the GBSJ originates from a desire for Wright College faculty to recognize students’ exceptional analytical and critical research writing. Its creation was also a response to an unfortunate notion that the Great Books curriculum is not relevant in the community college setting. This notion was compounded by an even worse notion: that students in two-year colleges are not capable of writing proficiently about the complex ideas put forth in great works. 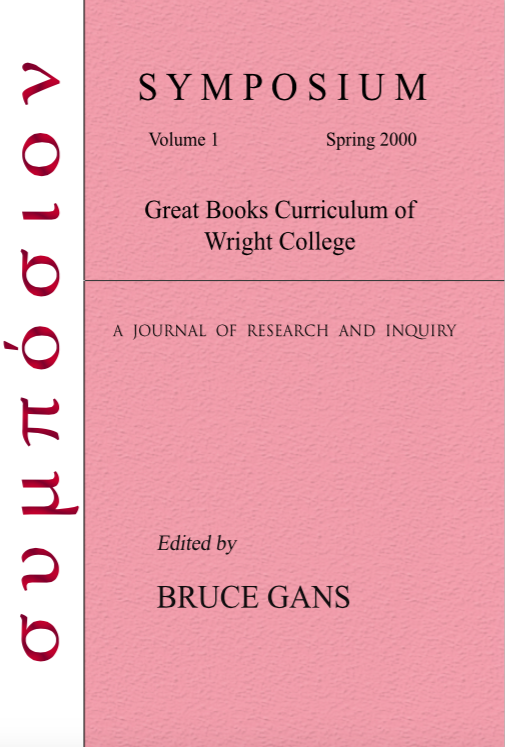 The first two editions of this journal, edited by Bruce Gans, founder of the Wright College Great Books Curriculum Program, demonstrated the relevance of Great Books, as well as the abilities of two-year college students to engage with the ideas contained in them. 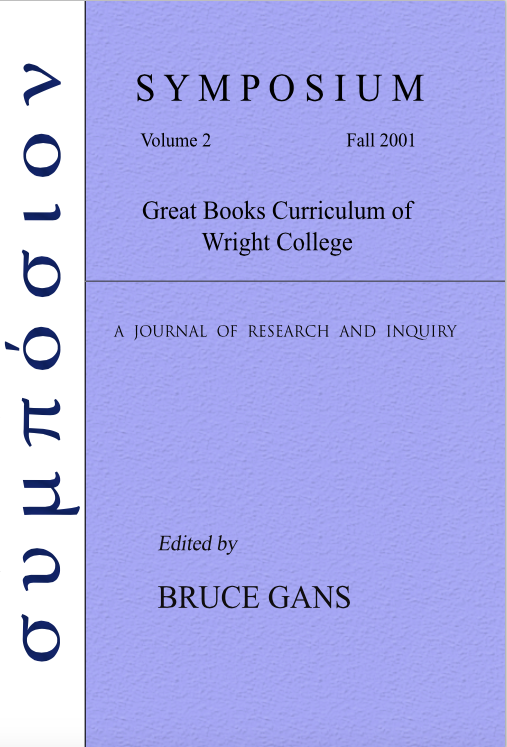 In the words of Gans, “The contents of Symposium lay forever to rest the objections by faculty and students that enduring works of the mind are beyond the abilities of community college students or inconsequential to their intellectual interests or personal needs.” In reality, as our journal shows, two-year student insight and learning produces scholarly essays of great subtlety and profundity, often brimming with intellectual excitement and originality. Finally, the GBSJ seeks to serve as recognition not only of student talent but also of something deeper. We believe that the process of students’ submitting essays to be published by an academic journal will be academically and personally transformational. In the process of learning to write critical essays of publishable quality, and in the process of reviewing and editing them, students are also contributing to the Great Conversation about the essential ideas that challenge and edify humankind. 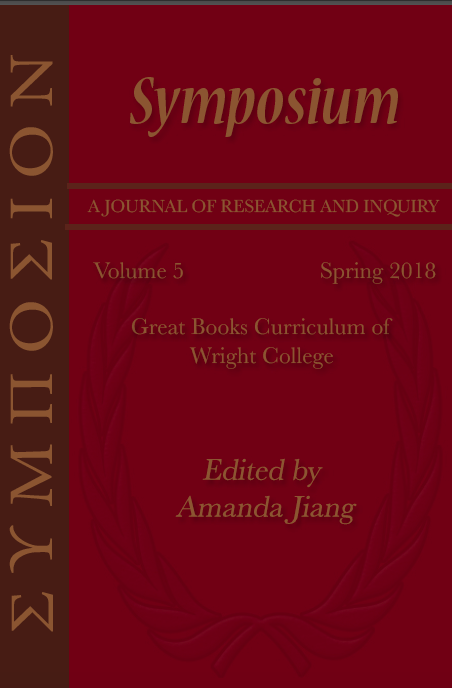 In this way, the Great Books Symposium Journal is a unique way for students—the writers, the reviewers, the editors, and you, the reader—to achieve richer academic and personal lives. 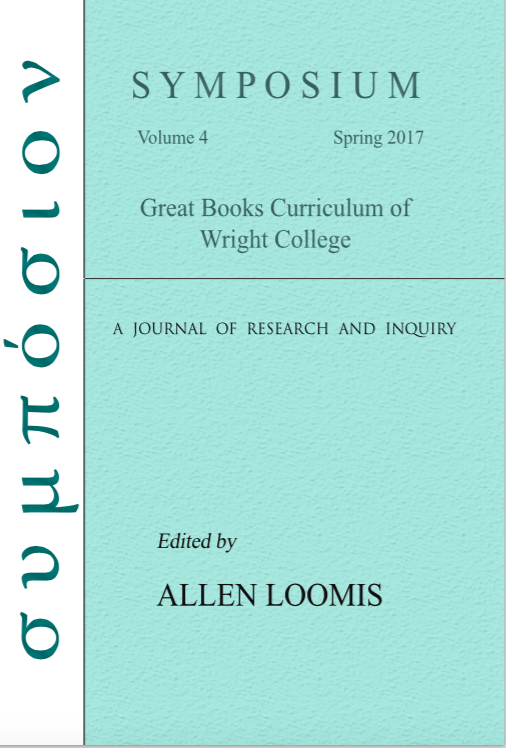 The Great Books Symposium Journal is created and maintained by the Great Books Student Society, an academic club at Wilbur Wright College in Chicago. The goal of the club is simple: it encourages students to read more, think critically and develop a love for books. The club stems from the Great Books Curriculum, which focuses on reading and analyzing the works of some of history’s most insightful thinkers. The club is run by students who organize events for the college and community. Members of the club spread their love of literature by hosting reading, speaking, and discussion events throughout the year, including the annual banned book event, faculty and student panel paper presentations (called symposia), discussions of common readings and annual literary themes, an event based on reading and writing poetry, and the Intercollegiate Student Symposium. 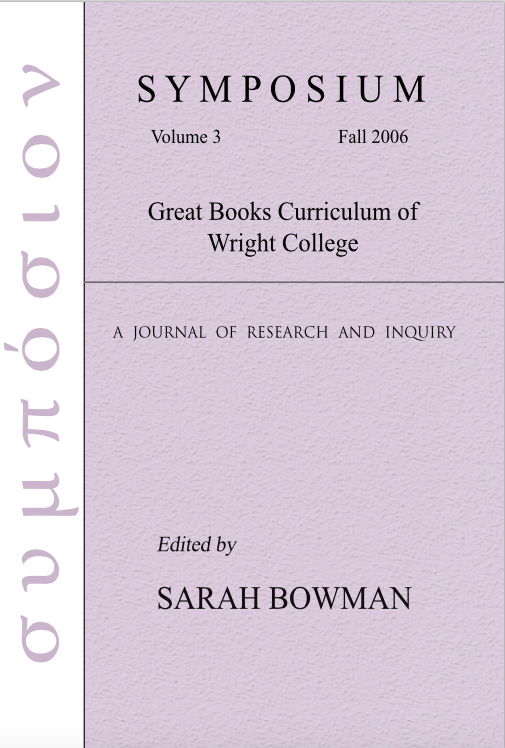 By creating opportunities for the shared reading of texts and organizing events at which students can express and support their claims about ideas contained in Great Books, the GBSS seeks not only to promote literature but also to enable students to develop their critical thinking skills, global awareness, and appreciation of diversity while seeing the world through the eyes of people from other circumstances, places, and times. 1 All submissions are double-blind reviewed and edited by both students and teachers. Copyright © 2000-2018 Great Books Symposium Journal. All Rights Reserved. No one may reproduce content without written permission.